Eric hails from the sundrenched Hill Country of Bulverde, Texas, and began working with plant species as an undergraduate biology student at Southwestern University. He became increasingly interested in how careful measurement and analysis of the plant community’s response to anthropogenic disturbances can be a powerful indicator of how we are changing the world. He focused on restoration ecology during the obtainment of his Master’s degree in Environmental Management & Sustainability at St. Edward’s University in Austin, Texas, by assessing mechanical removal methods of the invasive plant species, Ligustrum spp. (privet), in riparian zones at a wilderness preserve. He currently has taken his passion for utilizing plant species as storytellers of global change down to the Neotropics, by studying Ficus spp. (fig tree) viability in the face of forest fragmentation in Costa Rica. 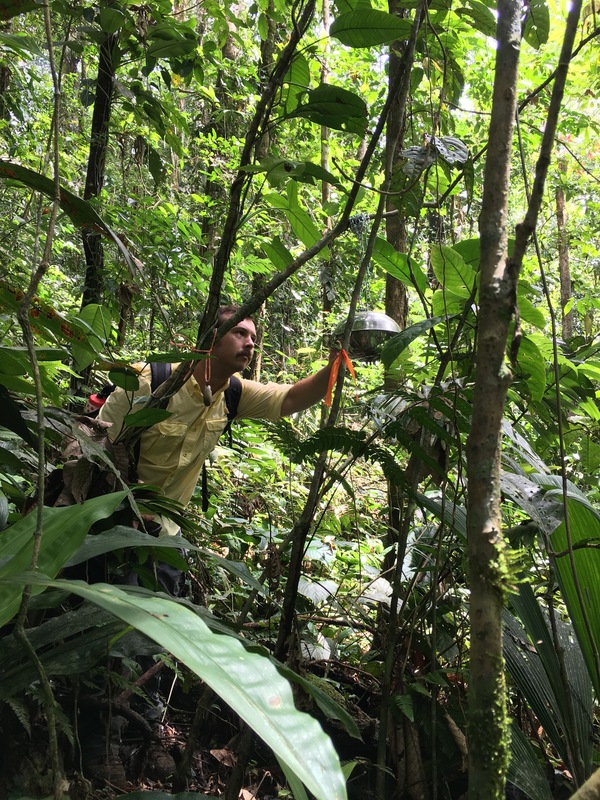 He joined the PEEL lab in the Fall of 2017 as a technician to help with the overarching Costa Rica project, and is continuing his project on how fig tree success and diversity can indicate differences in fragment health and habitat suitability for arboreal primates.